Yesterday, May 14, CAC graduated a class of 63 incredible seniors. From winning multiple district titles, to earning millions of dollars in scholarships, these students have excelled in many notable ways. This year’s graduates will continue their academic careers at 17 colleges in 9 different states. With an average ACT score of 24.3, this class accepted $ 2,452,930 in athletic and academic scholarships. Receiving the class’s highest academic honors was valedictorian Katherine Games with a 4.32 GPA and salutatorian Tonie Butler with a 4.26 GPA. Games, Butler and Kaitlyn Johnson were honored in Little Rock Family’s Head of the Class special section this May. Additionally, Games, Johnson and Bryan Wornock accepted the Governor’s Scholarship. 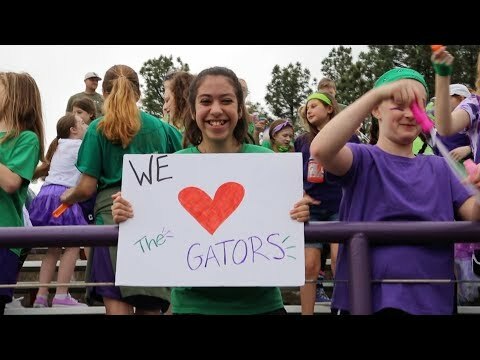 In CAC Athletics, Allie Weiner participated in the Overall Girls’ State Golf Championship, and multiple seniors helped take home the district title for the girls’ volleyball team. On the track field, Amalie Gunn took home the elusive Triple Crown at the Indoor State track and field meet in the 60m, 200m and the 400m races. Braden Quesinberry completed his wrestling career with an undefeated season and the State Champion title. Both soccer teams and the baseball team won district with the help of multiple senior leaders, and Sloan Marak, Sydney McGill and Tori Fry led the varsity cheer team to competition for the first time in school history. At Athletics Award chapel, the Scholar Athlete Award went to Sydney Hughes, the Mustang Spirit Award for outstanding sportsmanship went to Braden Quesinberry and Taylor Kittinger, Cheerleader of the Year went to Sloan Marak, and Athlete of the Year went to Tanner Weber and Amalie Gunn. The yearbook staff announced the recipients of the school’s character awards. Braden Quesinberry and Taylor Kittinger were named Mr. and Ms. CAC, and Braden Quesinberry was also awarded Outstanding Mustang. Included in the Mustang Roundup were Grant Wood, Carter Shields, Taylor Kittinger, Jenna Horton and Zane Harris. As 1 Corinthians 13:13 says, “…the greatest of these is love.” Of all these accomplishments, it is this class’s love for each other and those around them that our school takes most pride in. This December, more than 50 seniors helped bring Mustang Christmas to children at the Southern Christian Home in Morrilton, and even more helped raise funds for the Lagosette School in Haiti and participated in CAC’s Access Gators Track Meet and Day of Service. The accomplishments of this senior class are too numerous to mention, and this list represents just a sampling of its accolades. It is for that reason, and many more, we are proud to call these graduates Mustangs.